Chronicles my life as a new(ish) mom. 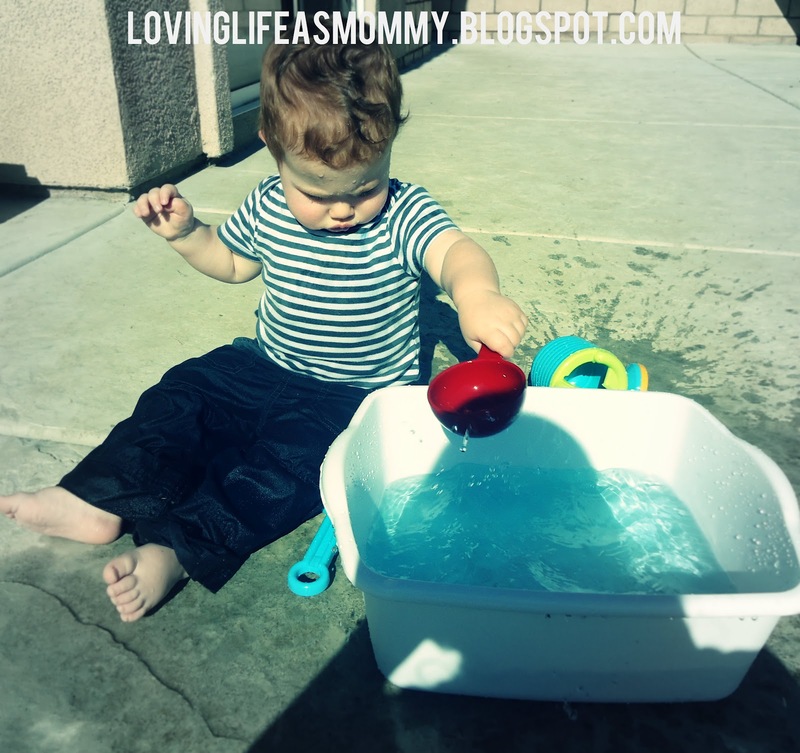 I blog about new activities I try with my toddler, crafts, recipes, photography and everything in between. I'm using my blog to help motivate myself to try new things and to (hopefully) inspire others. I'm also going to try to do some videos and pictures about cloth diapering. I've had a couple friends ask questions about it, so I figure I'd do a little something about the subject here. Wish me luck as I enter the world of video taping and editing! This will be an exciting new venture! Happy Sunday! I wanted to drop by and share a couple pictures I took from a recent "girls night in" gathering we had at our friend's house. We spent the evening hanging out and making coasters after eating a yummy dinner! It was a great toddler-free evening just with the girls. 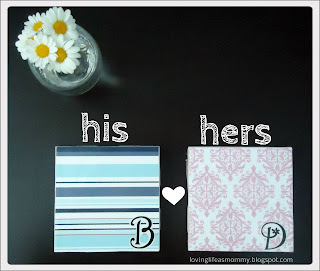 I made coasters for our room since we usually keep a glass of water besides our bed. The Hub's coaster matches our room, but mine totally doesn't. :D This is a great, inexpensive gift idea! 1. Trace or measure the scrapbook paper to fit your tile. 2. 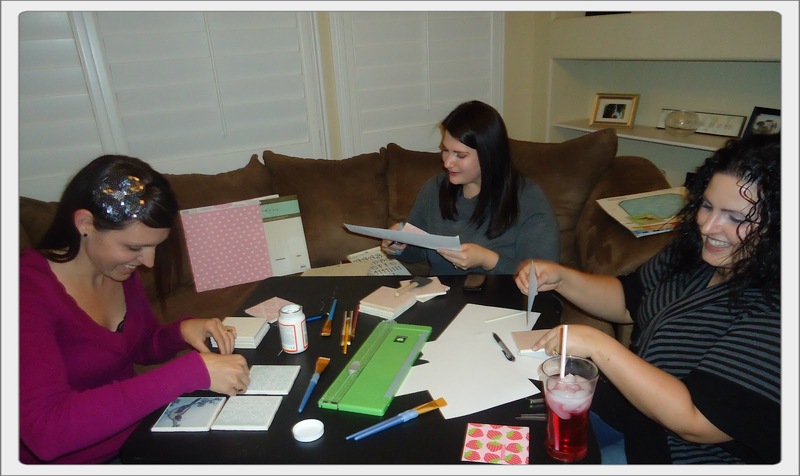 Spread mod podge onto the tile and lay your scrapbook paper onto it being careful to smooth out bubbles. 3. Trace or measure cork so that it's slightly smaller than your tile. 4. Use your hot glue gun to spread glue to the back of your tile. Carefully lay your cork onto the tile. 5. 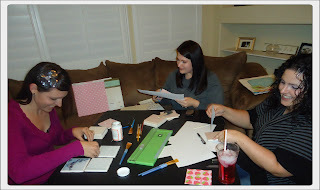 Apply about three coats of mod podge onto the scrapbook paper, letting it dry between each coat. 6. Apply two-three coats Polycrylic to help further seal the paper on the tiles. Hope you enjoyed! I think Mod Podge might possibly be the best invention ever! What else can I put Mod Podge on? Have an idea? Put a link to your blog below! Enjoy this post? Here are some other crafts you might like! The weather has been crazy these past couple of weeks. Just last week we had thunder and rain, and today it was very warm and nice out! We took advantage of the beautiful weather and went outside to play with the water! We brought out the dish-washing pan, a measuring cup, a little watering can, and a little sand sifter for Little Man to play in the water. He found a rock and added it to the water, too. I added an ice cube I colored blue with food coloring to the water. He had a blast trying to pick it up out of the water because it was slippery. He watched while it melted away. He had soo much fun he cried when we had to back inside the house for dinner. He was easily consoled with a plate of warm spaghetti. For one of our Easter Treats I made homemade marshmallows! I know Easter has come and gone, but these are something you can do for any holiday. 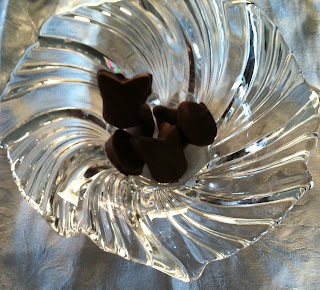 You can add different flavored extracts to them, or food coloring, or use themed cookie cutters. Not a very good picture. This was all that was left of them! I chose to do mine in the traditional vanilla flavoring and used mini Easter themed cookie cutters to cut out the shapes. I then dipped them into milk chocolate. You can get the full recipe here. Please read it for instructions. I just wanted to share my tips while making these. 1. The Marshmallows set very fast. Be prepared to work very quickly. I felt like I was going at a fairly fast pace and mine were still bumpy. 2. Use a smaller pan. When spreading your marshmallows onto the cookie sheet, I'd use a smaller size than recommended. I didn't even get my marshmallows all spread out on the pan (because they dried too fast) and I felt they were too thin. I'm almost wondering if two 8x8 pan would work best. 3. They need to dry 24 hours. The recipe says you can cut them starting at about 3 hours, but I really feel they need to stay out overnight. 4. I didn't have any problems with coating them in chocolate. I let mine sit in the pan for 24 hours before I cut them. This probably helped them stand up to the hot chocolate. 5. Easy with the cooking spray. This mostly applies to spraying your cookie cutters. I felt like I kept putting too much spray on them (gross!). I finally ditched the cooking spray and just wiggled the cookie cutter back and forth and it worked just fine. I really look forward to making these again. This was the first time I have really done any candy making. I definitely plan on making some peppermint flavored marshmallows for Christmas! If you like Marshmallows you might like these! I haven't read or sang any nursery rhymes since I was a little kid. Needless to say, I've forgotten a lot of the lyrics and stories. I've done an okay job by making up forgotten lyrics or just humming the rest of the song, but think I should try to learn them right. I only picked out a couple books from the library this week because each of the books should have a lot of stories. Lamb Coloring Page - color or glue cotton balls to it. "Sing Mary had a little Lamb"
We had a great Easter weekend! 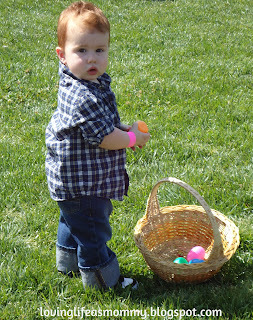 Saturday The Hubs and I took Little Man to an Easter Egg hunt at our local park. 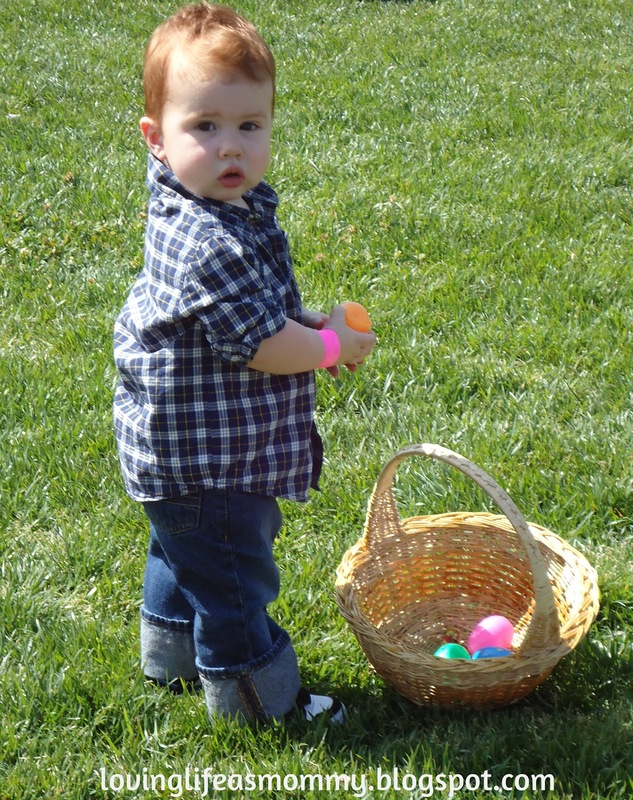 Little Man was a little overwhelmed with all the people, but he still had a great time finding Easter Eggs. See..I told you there were a lot of people! Aren't they cute with matching shirts? For Easter Sunday we had some of our friends over to celebrate. Tabitha and her family came over, as well as our friend Amanda. Little Man and his Little Buddy had a great time "hunting" (or sitting on the grass eating the candy out of the eggs!) 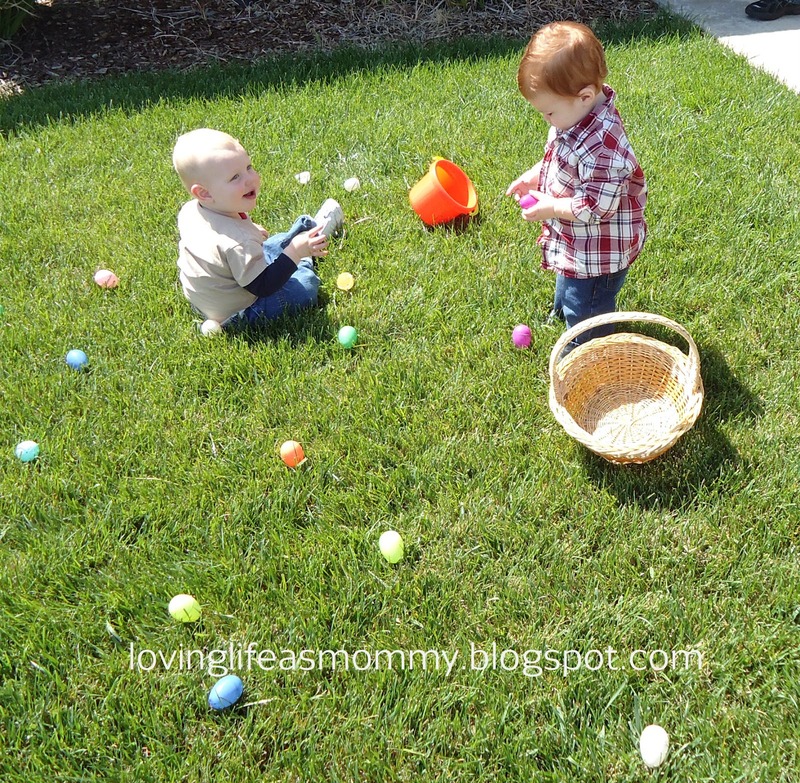 for Easter Eggs in the front yard before brunch. 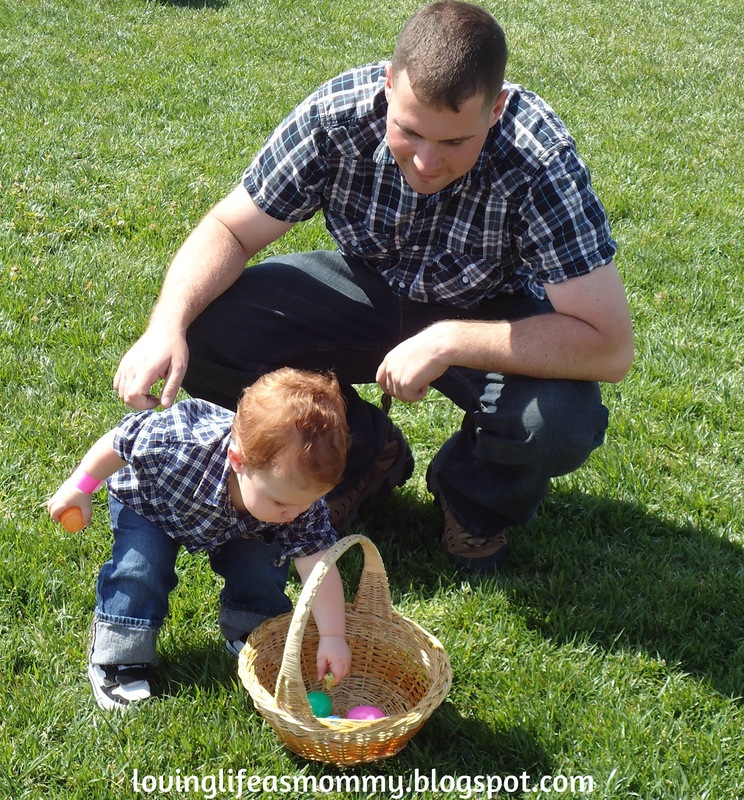 Hope all of you had a great Easter! I'm looking forward to this week! 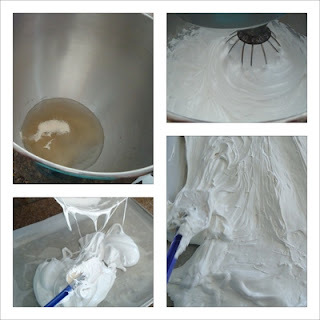 I'm working on a new lesson plan, we're having a girls day in where we're going to work on a crafty project, and I'll share how I made homemade marshmallows. Stay tuned! I'm a sucker for anything chocolate and I love me some brownies! I decided to try Jillian Michael's Fudge Brownies. You can find her recipe here if you'd like to try it, too. These brownies were good, but not the best "healthy" brownies out there. My favorite "healthy" brownies are the Double Chocolate Walnut Brownies from Elana's Pantry. While Jillian Micheal's brownies are good, the honey flavor in it is definitely very noticeable in the finished brownie. I even used a clover honey like she recommend in her recipe. I like really chocolatey brownies, and these didn't quite hit that mark. A couple of positives: they were really moist (which I love) and the ingredients call for items you probably have on hand. For these reasons I would make them again, but probably not for company. Do you have any "healthy" brownie recipes that are yummy? Share them in the comment section below! My name is Deanna. This is a blog about my day-to-day activities. I'm using it to inspire myself (and hopefully others) to try new things! 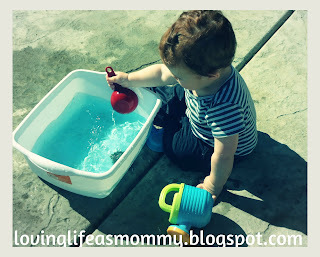 I am a new(ish) mom so I'll definitely be blogging about my Little Man and all our adventures!